When installed in a housing that has a matching colored lens, red and amber bulbs will appear brighter than white LED bulbs—even though they have lower lumen outputs. 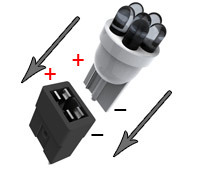 CAN Bus LED bulbs are simple plug-and- play LED bulbs which are made specifically for CAN Bus-equipped vehicles. 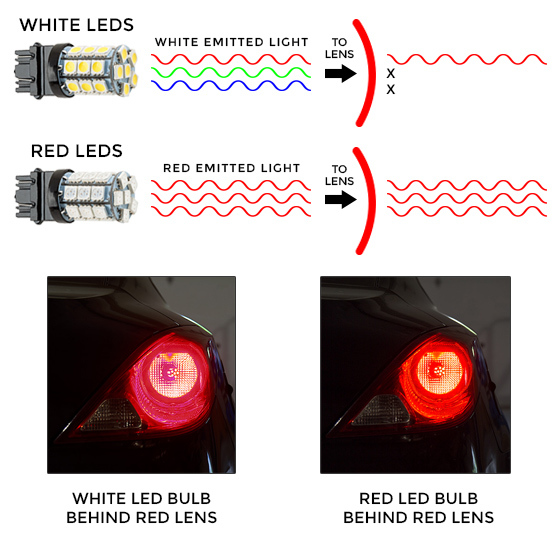 These bulbs work with your vehicle's advanced computer system, so when your vehicle's computer reads them, they respond back correctly. To see if your vehicle operates with a CAN Bus system, simply remove the bulb you're looking to replace, start your vehicle, and if you have a "Bulb Out" message on your dash you have a CAN Bus system. LED festoon bulbs emit bright, long-lasting light. Direct replacements are available for vanity lights, dome lights, map lights, trunk lights, footwell lights, and more. Measure the length of your existing bulb to find a matching LED bulb.